I first spoke with Chris Skaife in 2013 after he was was awarded a position at The Tower of London following a long and distinguished career in the the British Army. 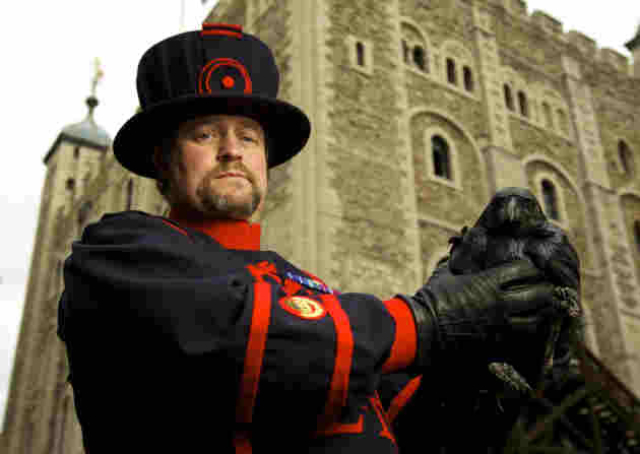 A Yeoman Warder, Skaife holds the position of Ravenmaster. As the title implies, he’s responsible for the care of the Tower's unkindness of ravens. Our first conversation about his gig left me fascinated: Here was a man with a job that’s completely singular in the world. His days, are full or tourists and the occasional state visit, history and tradition. That he goes about his duties in a uniform that looks like it’s designed to kill its wearer on a hot summer day, is shorthand for the amount of dedication he has to his responsibilities. I came from talking with Skaife with so many unanswered questions about what his day entails, his passion for the birds under his care and what it’s like to navigate such a unique gig. Happily, I’ve had most of my questions answered by Skaife’s upcoming book, The Ravenmaster: My Life with the Ravens at the Tower of London. It’s not out until October, but it is available for pre-order at Amazon. Chris, good fella that he is, provided me with an early draft of the book to read, a few weeks ago. I’m looking forward to buying the real McCoy once it becomes available.